If you are foreigner interested to find a job in Kuwait, this guide will introduce you the most significant aspects of preparing your move to Kuwait, such as popular expat cities, essential work visa requirements and jobs for non-Kuwaiti citizens. With its wealth, huge oil reserves and great job opportunities for foreigners in the fields of oil production, marketing, sales and finance, Kuwait is one of the most attractive countries for foreign job seekers. Some of the other fastest growing fields in Kuwait that hire thousands of foreign job seekers are real estate, tourism and business services. Office assistant in Kuwait – Foreign assistants are being hired usually in international companies, managed by foreigners. Perfect English language is a „must“ skill for this job. Teacher in Kuwait - one of the most popular profession for foreign English speaking job seekers in Kuwait. There is a high demand for English teachers in Kuwait. International schools, private language schools and universities have constant demand for foreign English teachers and math teachers. There is also increasing demand for private lessons for local pupils and foreign teachers are very popular solution for that among locals. Translator in Kuwait – foreign translators are being hired by large exporters of petroleum in Kuwait. Job vacancies for translator jobs in Kuwait often fits profession and skills of foreign professionals. Taxi driver in Kuwait – driving is the main mode of transportation in Kuwait, because of cheap oil and gas prices. Majority of taxi drivers in Kuwait city are foreigners from Southeast Asia. Warehouse worker in Kuwait – usually works within the oil industry and local retail chains. If you are able to operate with lift truck or forklift, you can get better wages for this position. Keep in mind that applying for a job that requires professional or personal skills you don’t have is just a waste of time. Employers in Kuwait offer very attractive job opportunities so the best chances to get a job in Kuwait is to apply for a job that fits your profession and skills. Remember that there are many regulated professions in Kuwait, including engineers, doctors, pharmacists, veterinarians, accountants and teachers. If you are a foreign citizen and your profession is one of them, you will need to get right qualification recognized by the relevant Kuwaiti professional association or authority before you can work in Kuwait. Some companies in Kuwait hire employees directly to work from their homes or arrange with some employees who started working in an office in Kuwait to work from home. After that foreign employees were able to left Kuwait and continue to work from home in a country they came from. Kuwait is a small country with a total area of 17.818 km2 (6.880 sq mi) situated in southwest Asia with a population of 4,3 million. 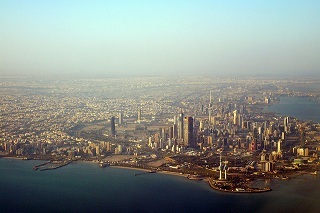 Kuwait is located on the Arabian Peninsula, bordered by the Persian Gulf, Saudi Arabia and Iraq. The official language is Kuwaiti, but English is widely used, especially as a business language. About 70% of the population are non-Kuwaiti citizens. 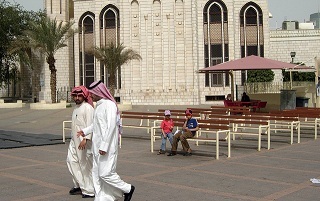 Foreigners are usually attracted by the employment opportunities in Kuwait. The majority of foreign workers resides in Kuwait City, economic and administrative hub of the country. Other favorite cities for foreigners to work are: Al Ahmadi, Hawalli, and Al Farwaniyah. The largest communities of expats in Kuwait are: Indian community, Egyptian community, Pakistani community, Syrian community, Filipino community and Iranian community. Kuwait is one of the richest countries in the world. Its economy is based on oil and petroleum export. About 10% of the world’s reserves of crude oil are located in Kuwait. The official currency in Kuwait is Kuwaiti dinar. It’s the highest-valued unit of currency in the world. 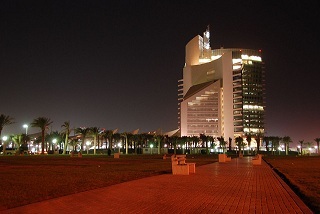 Other important sectors in Kuwait are finance, tourism, transport and technology. The typical workweek in Kuwait is Sunday to Thursday, with some stores and offices also open for a few hours on a Friday, rarely on a Saturday. Employers in Kuwait usually provide benefits such as housing allowance or a place to live, low rates credit for a car, medical aid, annual airtickets home and many others, for their foreign employees. The largest employers in Kuwait are from crude oil industry and petroleum export sector, but there are many other companies that hire thousands of employees. Notable employers companies in Kuwait are: Kuwait Petroleum Corporation, United Networks, Safir Hotels & Resources, The Sultan Center, Kuwait Airways, Al-Mulla Group, Gulf Bank of Kuwait, Gulfsat, Jazeera Airways, Kuwait Finance House, Boubyan Bank and many others. In order to work in Kuwait foreigners have to obtain a residence visa or iqama and valid work permit. A Kuwaiti employer sponsor shall apply for a valid work permit from the Kuwaiti Ministry of Social Affairs&Labour. Necessary requirements for the Kuwaiti work permit are valid employee’s passport and no-objection certificate (NOC) from the General Administration of Criminal Investiagation at the Ministry of Interior. Keep in mind that the process to obtain a residence visa and work permit is very slow and it usually takes weeks until entry into Kuwait, and a further 1 to 2 months before formalities have to be completed after your entry in Kuwait.